I’m not a fan. Because, working mom now. Maybe stay at home moms aren’t fans either. But in my experience there’s some level of relief, of a return to normalcy, at least a chance to tackle the laundry. Not anymore. But we get by. And Sunday evenings become next to sacred. Often we are borderline comatose before a family friendly movie with either a “snack dinner” or whatever I’ve made to eat all week (or, more likely, both since our kids eat like two things I cook. Bacon is one of them. Nachos are the other); sometimes any one person could have an oddly timed nap or we are shaking off a social engagement. Occasionally (and unfortunately!) we are still working on chores like laundry or cooking or prepping for our bi-weekly house cleaning. And that’s just because second grade homework is due on Fridays. Tonight I made a dinner. My littlest girl (4) helped. Her sister and dad tried it, perhaps even liked it. We ate together at the table. We had a happy mix of productive and restorative day. 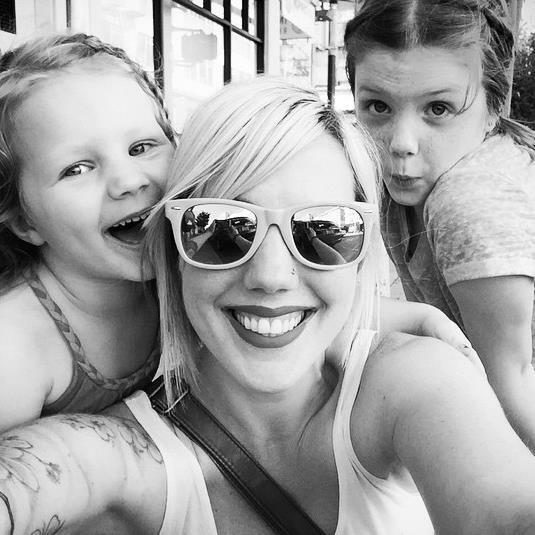 Sprinkled with many conversations that I’m always sure have changed the course of my daughters’ lives or at the very least allowed me to dust of my shoulder and feel like I’m not doing such a bad job at the mom thing. And after dinner we listened to the Pitch Perfect soundtrack. Ali (7.5) danced with and innocence I can practically see evaporating off of her, an intensity I hope never leaves her, and yet an awareness I recognize and reflexively return Emmy played with playdough and bopped happily and turned on a dime when provoked. She spent all weekend showing her honed differences from her sister. And intriguing me in four all over again. And the dog whined and played and cuddled and slept. And we watched and were. Parents. Building and giving this life to them, that we then began/have to survive and slap together and occasionally muddle through. With those rare moments where time stops and we are okay and this will forever be a part of us. And our kids are growing up. And will never stop.